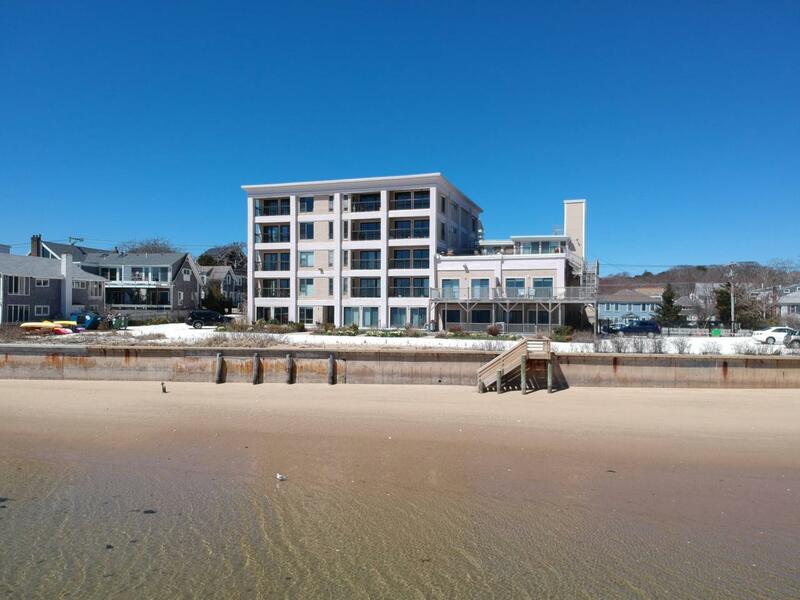 Located in Provincetown's east end gallery district, this unique waterfront condo boasts two large bedrooms and two beautiful bathrooms; one European ensuite! 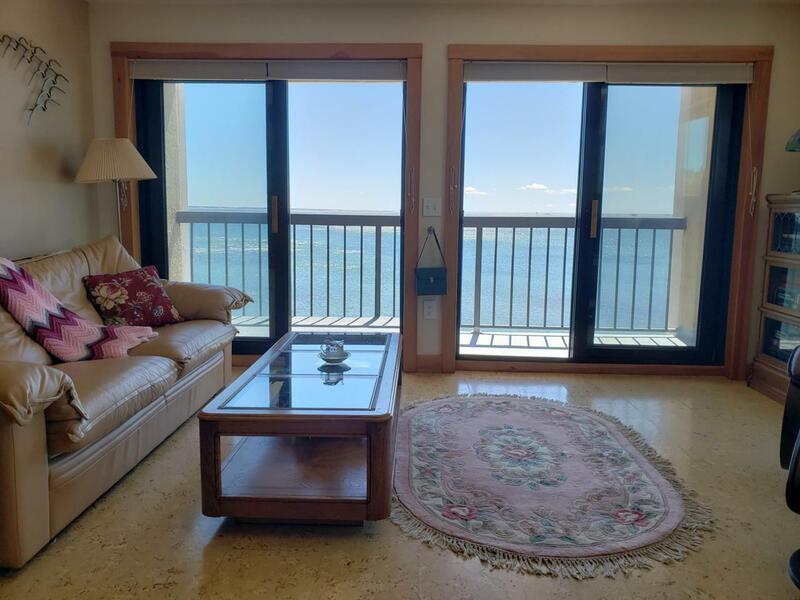 This immaculate, spacious, two-corner unit with an exclusive balcony offers expansive water views from almost every window! From the comfort of your living room, watch for spouts from migrating whales as they near the Long Point Lighthouse, and occasional pods of dolphins playing in the Bay!! While you watch, appreciate acoustically-tuned surround sound in the living & dining rooms as well as views of the Pilgrim Monument. Elevated ceilings, cork wood flooring, full-sized in-unit washer / dryer and unobstructed views of the Cape Cod Bay make this well-insulated unit a perfect year-round or seasonal condo!Generous in-unit storage and an additional same floor, locked storage is perfect for those who travel and would like to stow away patio furniture or keepsakes! 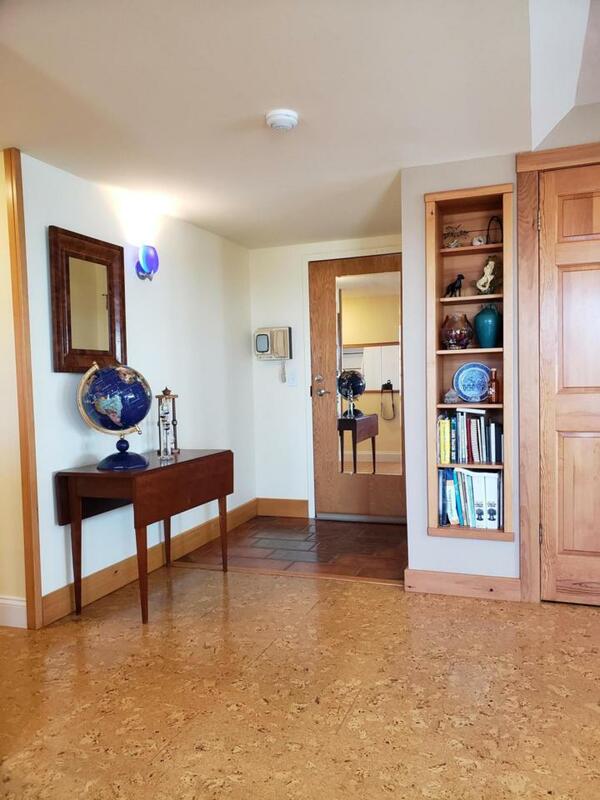 Take the elevator or stairs from your condo and delight in a scenic stroll to all that is Provincetown! The unit received a full repaint last season, has tasteful amenities for those who enjoy age-in-place shower safety, and recently upgraded the in-unit electrical service panel! 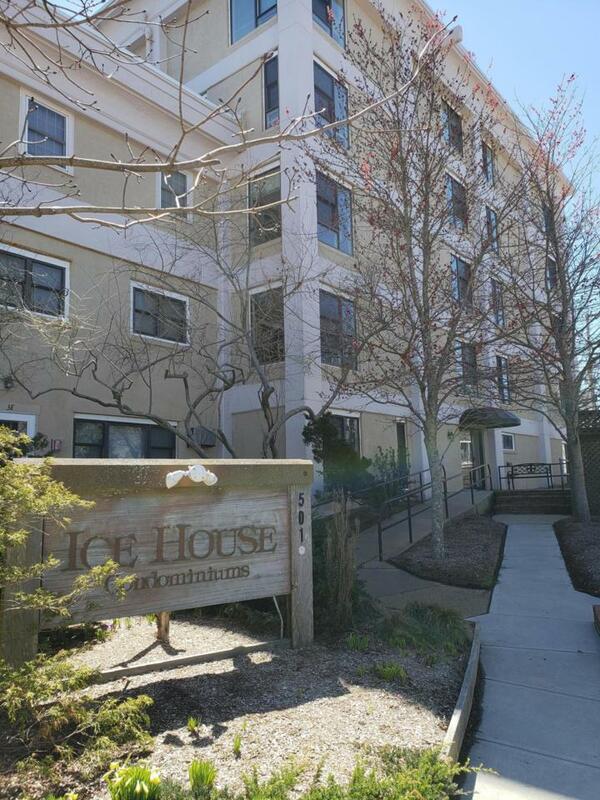 The Ice House is a non_smoking property that offers gated parking, a quiet in-town location, deeded beach access, a fully refurbished seawall, new stairway to the beach and both a well and irrigation system that keeps its many gardens lush!